On Nov. 4th and 5th, two groups of foreign students from USTC attended the First Foreign Students' Chinese Culture Competition in Anhui University. After three rounds of preliminaries and the final, USTC won the first prize in group competition. USTC students also achieved the first and third prize for individual speech contest, and the second prize for the talent show. With Chinese culture as the key, foreign students learn from each other in the exotic and multicultural atmosphere. The competition was co-hosted by Anhui Foreign Students Education &Management Association and Anhui Chinese Language Teaching & Research Association. Totally 15 groups of students participated in this competition, which consist of nearly 100foreign students selected from 9 universities in Anhui, including USTC, Hefei University of Technology, Anhui University, Anhui Agricultural University and other 5 universities. In the individual speech contest held on the morning ofNov. 4th, fourUSTC foreign students gave speeches, respectively themed as Qing Ci Han Ke, Xing Yuan HuaXia, My Study experience in China,My Life and travels in China. Among them, Anastasiia Popelnukha, from Ukraine, vividly illustrated the cultural differences between two countries' in a family life context, and achieved the highest score. 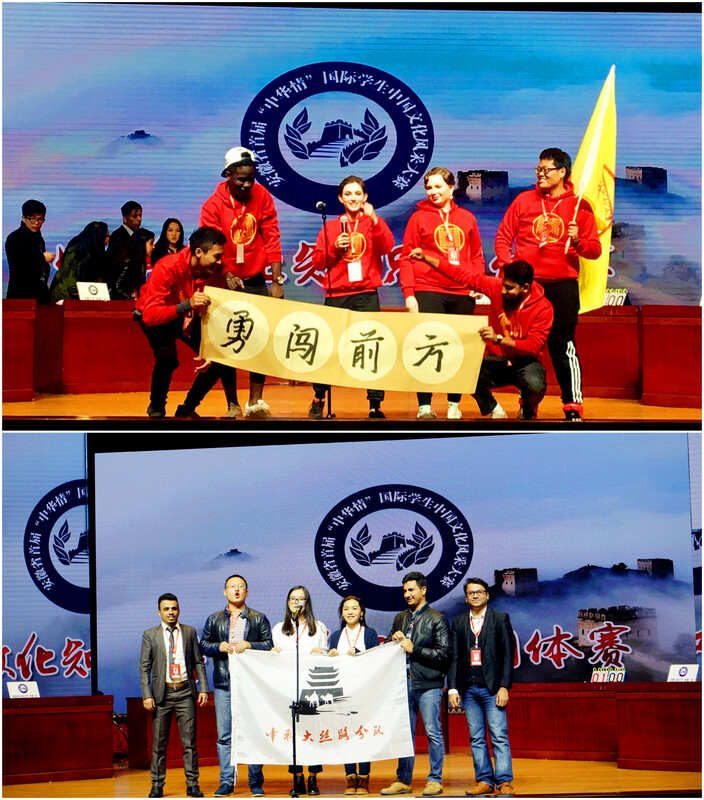 The group competition on Chinese cultural knowledge held in the afternoon was extremely intensive, but USTC led the way and maintained the advantage, and successfully reached the final. The talent show really lit up the night of Nov. 4thand got hilarious when USTC team giving the performance “China's Cultural Talent Show”. The "Silk Road Ethos", also given by USTC, showed the audience the Tea Horse Ancient Road of thousand of years ago. 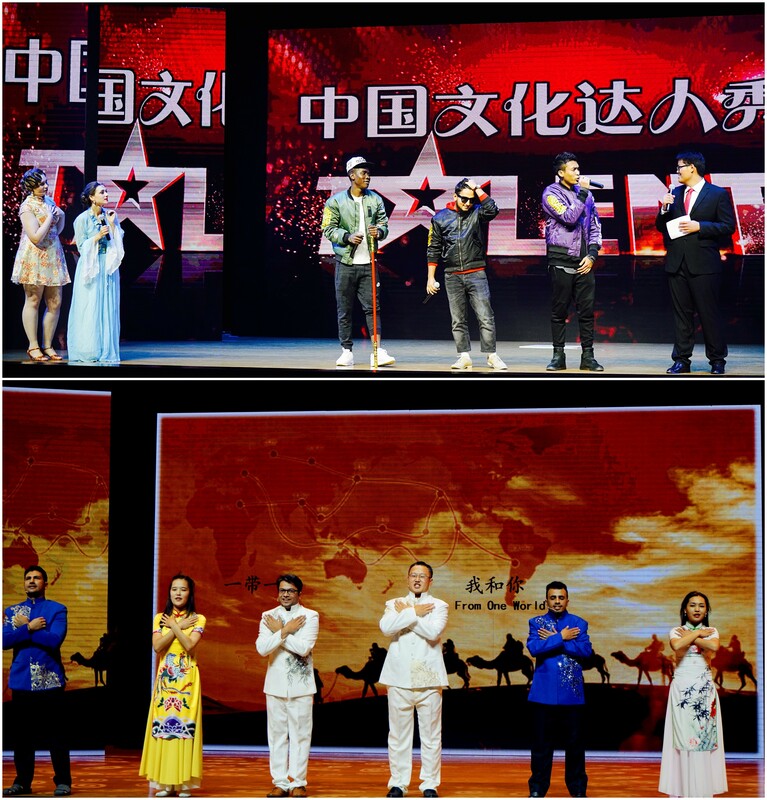 In the end, “China's Cultural Talent Show” won the second prize, and "Silk Road Ethos" was recommended to be the opening performance show for the awarding ceremony on the morning of Nov. 5th. Under the background of the Belt and Road initiative, USTC foreign students traced back the communication among different civilizations in ancient history. Through this competition, the cultural exchanges between Chinese and foreign students became more diverse, and the cultural vision of each other was further explored. With the foreign students as the bridge, Chinese culture will be known by more and more people around the world.